This study investigated factors from high school that might predict college persistence. The sample consisted of 7,271 participants in three waves of data collection (2002, 2004 and 2006) who participated in the Educational Longitudinal Study (ELS; U.S. Department of Education, 2008). A multinomial logistic regression mode was employed to distinguish those who persisted from those who did not. Results indicated that number of hours engaged in extracurricular activities and interaction with the math teacher outside of class distinguished those who persisted in a four-year college from those that did not. Implications for school, community, mental health and college student development counselors are discussed. The use of technology in counseling is expanding. Ethical use of technology in counseling practice is now a stand-alone section in the 2014 American Counseling Association Code of Ethics. The Health Insurance Portability and Accountability Act (HIPAA) and the Health Information Technology for Economic and Clinical Health (HITECH) Act provide a framework for best practices that counselor educators can utilize when incorporating the use of technology into counselor education programs. 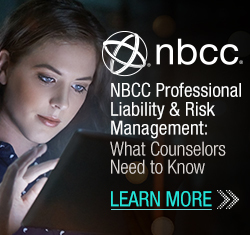 This article discusses recommended guidelines, standards, and regulations of HIPAA and HITECH that can provide a framework through which counselor educators can work to design policies and procedures to guide the ethical use of technology in programs that prepare and train future counselors. Parent–Child Interaction Therapy (PCIT) is an evidence-based method for reducing disruptive behavior in children and improving parent management of behavior. PCIT is a form of behavioral intervention that can be used in clinical, home and school settings. Although initially designed for intervention related to oppositional defiant disorder and conduct disorder, PCIT has been found to be a promising intervention for addressing behavioral issues among children with special needs. We present methods, research-based instructions and a case example of PCIT with a child diagnosed with autism. This article is intended to assist professional counselors in designing appropriate interventions for both children and parents. Researchers, scholars and counseling practitioners note the differences in help-seeking behaviors among racial and ethnic minority clients. With African Americans in particular, researchers attribute some of these differences to African Americans’ preference for relying on their spiritual and religious communities (i.e., the Black Church) for support in dealing with mental health issues rather than seeking help from professional mental health counseling resources. However, less articulated in the literature are the rationales behind this preference. Because of the salience of spirituality and religion in the African-American community, it behooves counselors to increase their knowledge of the African-American religious experience. This article provides an overview of the history of the Black Church, its theological foundations, implications for culturally competent counseling and recommendations for counselors in practice. This study aimed to determine the psychosocial health status of women artisanal miners in the Philippines. Their socio-demographic characteristics and psychosocial health status are described to formulate a self-efficacy enhancement program to respond to their needs. This study utilized a descriptive multiple case study design. Primary data were gathered via a simple questionnaire regarding the respondents’ socio-demographic profile and psychosocial health status. Other primary data sources included key informant interviews, respondents’ journal entries, observations and outputs during the structured learning exercises, focus group discussion transcripts, and a researcher’s log. Documentary reviews also were utilized to obtain additional facts. The respondents were selected through a fishbowl method. Results show that the participants’ coping process, attitude of perseverance and stress management have a moderate impact on their ability to manage life experiences. The study resulted in a proposal for a self-efficacy enhancement program to improve the psychosocial health of women artisanal miners. The purpose of this study was to identify perceptions about a school counseling internship program at a university in Adana, Turkey by determining counseling interns’ perspectives on the effects of the internship program and supervisors’ perspectives on interns’ professional development. Data were collected from nine school counseling supervisors, 11 school counseling interns, 11 guidance teachers and 34 students who attended group guidance activities during counseling students’ internships. Data were analyzed using content analysis, and findings suggested that counseling interns have the opportunity to perform activities that school counselors normally perform, and that interns become competent in performing these activities. The internship program helped interns become competent at applying professional knowledge and skills. Additionally, with the assistance of interns, school counselors were able to provide proactive counseling services to students. The study suggests that positive, constructive feedback and advice from supervisors are essential for interns to be successful in completing internship activities in a positive and confident manner. The National Office for School Counselor Advocacy stated that secondary students need better support from professional school counselors when making decisions regarding their postsecondary education and career. 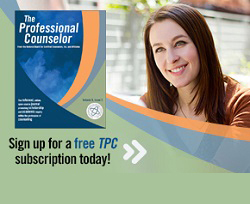 The present qualitative study explored school counselors’ perceptions of competence in the area of career counseling, and resulted in the following themes: challenges to delivery, opportunity, self-doubt, reliance on colleagues, and the use of technology. Recommendations for college and career readiness best practice were incorporated with the findings from the National Office for School Counselor Advocacy report. School counselors must be knowledgeable about military culture in order to help military students and their families in a culturally competent manner. This article explores the nature of this unique culture, which is often unfamiliar to educators, including its language, hierarchy, sense of rules and regulations, self-expectations and self-sacrifice. Specific suggestions, such as professional development, self-examination and cultural immersion experiences, are provided so that professional school counselors can increase their multicultural competence when working with this population. Finally, a case study illustrates the challenges associated with this culture and implications for school counselors in regard to increasing cultural competence when working with military families are discussed. This exploratory, qualitative study analyzed the narratives of four fathers of sons with Asperger’s disorder, a form of autism, as they described the rewards, challenges and coping strategies associated with their lived experience. The author identified participants via a typical case sampling method; collected data with one-time, semistructured interviews; and utilized emergent theme analysis to highlight themes across the fathers’ narratives. Fathers identified finding a clear communication system with their sons as most rewarding, behavioral issues with their sons as most challenging, and acceptance of their sons’ condition as a coping strategy. Implications for humanistic counseling practice and future research are presented. 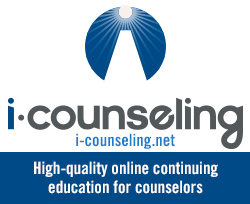 Educational counseling has declined as a counseling specialization in the United States, although the need for this intervention persists and is being met by other providers. This article illustrates how career theories such as Holland’s RIASEC theory can inform a revitalized educational counseling practice in secondary and postsecondary settings. The theory suggests that six personality types—Realistic, Investigative, Artistic, Social, Enterprising, and Conventional—have varying relationships with one another and that they can be associated to the same six environmental areas to assess educational and vocational adjustment. Although educational counseling can be viewed as distinctive from mental health counseling and/or career counseling, modern career theories can inform the practice of educational counseling for the benefit of students and schools.